You're too late.... 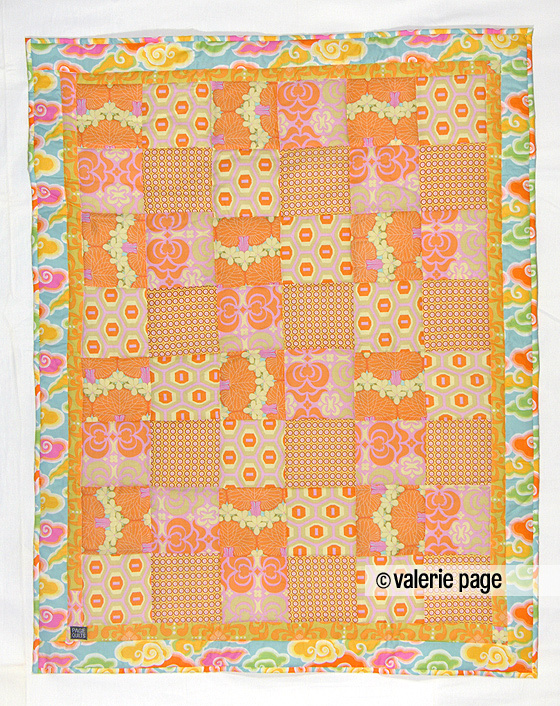 These lovely quilts are no longer available, having already been wisked off to homes in all corners of the globe. 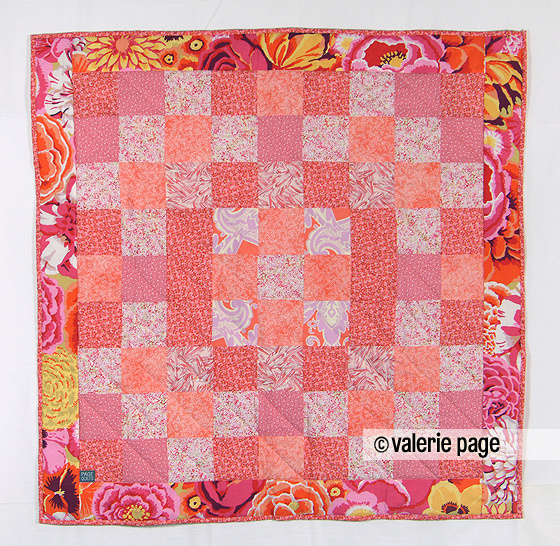 You can find Valerie's current catalog of quilts for sale in this Quilt Gallery. #1173 / 42x42" / 2004 . . Details: Measures 41" x 41" / Toronto 2012 / Cotton. 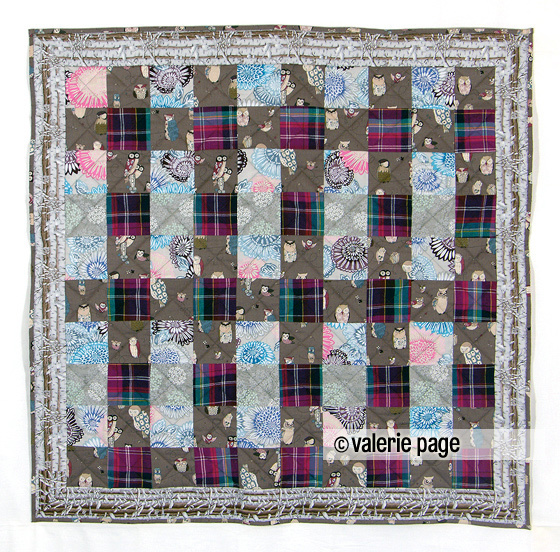 Colour combination - Owls on brown, with pink & blue flowers and a border of birch trees. Details: Measures 41" x 41" / Toronto 2012 / Cotton. 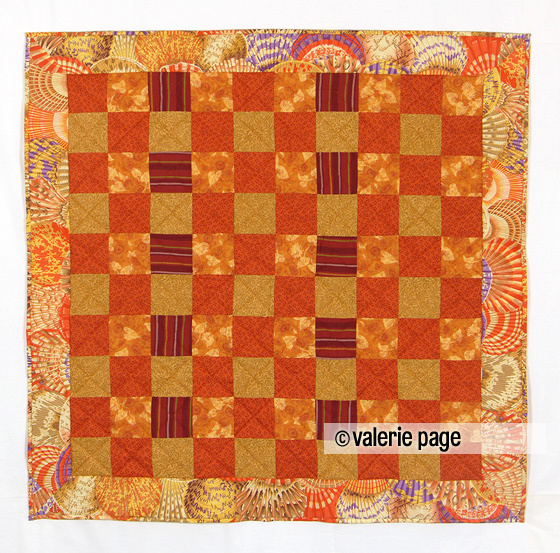 Colour combination - fall orange and sea shell print border. Details: Measures 34" x 34" / Toronto 2012 / Cotton. Colour combination - pale green and blue, bird and abstract prints. Details: Measures 34" x 43" / Toronto 2012 / Cotton. Colour combination - pale green and blue, bird and abstract prints.